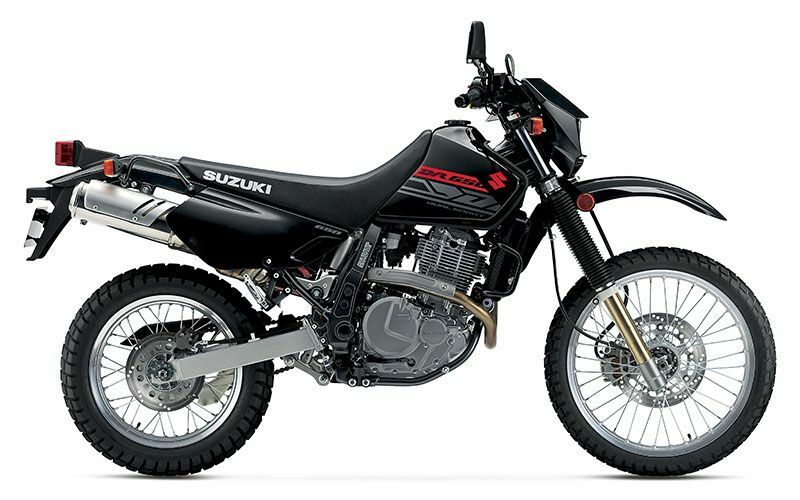 The 2019 Suzuki DR650S is quite possibly the best all-around, dual-purpose motorcycle available today. 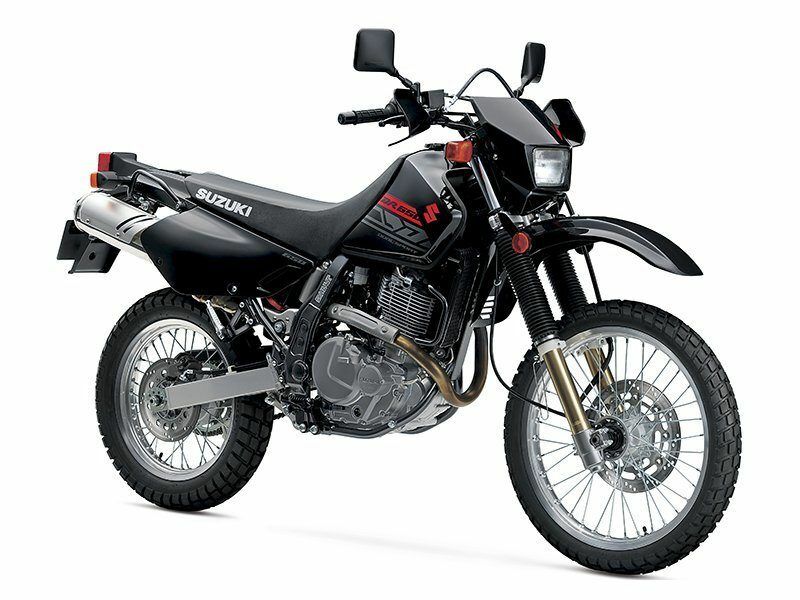 Every DR650S is quality built by Suzuki and features a reliable, 644 cc, oil-cooled, four-stroke, single engine carried in a strong steel, semi-double cradle frame. The telescopic fork and link-style rear suspension can tackle tough trails or urban roads. So a variety of riders can enjoy this motorcycle, the seat height can be significantly reduced. Strong aluminum, spoke-style rims carrying tires that can handle the street or dirt are fitted so riders can tackle pavement or trails with ease. With new Solid Black bodywork complete with distinctive red and silver graphics, the DR650S will look good ridden on any surface. A lightweight, compact, rigid semi-double cradle frame provides agile handling on and off-road. Innovative, height-adjustable front fork provides smooth and progressive action. Large diameter, thin-walled tubes reduce unsprung weight, while maintaining high rigidity. A link-type rear suspension with piggyback style, aluminum-body shock absorber provides stable performance. The height adjustable shock features adjustable spring preload and compression damping to personalize the suspension for rider, load, and terrain. Front and rear suspensions provide generous 260 mm (10.2 inch) wheel travel for superb performance over rough terrain. Lightweight 290 mm (11.4 inch) front floating disc brake with two piston caliper and 240 mm (9.4 inch) rear disc brake with two-piston caliper provide reliable stopping power. Aluminum rims with stainless steel spokes are standard and built for durability and strength. The wheels are fitted with 90/90-21 front and 120/90-17 dual sport rear tires that offer excellent on and off-road traction. Hollow-type wheel axles and an aluminum, beam-style swingarm reduce unsprung weight. A long, comfortable seat, aluminum footpegs, and grab handles allow you to carry a passenger with ease. DR650S is powered by a lightweight and compact, low-maintenance battery. A fully equipped lighting system comes with a bright 60/55 watt halogen headlight. 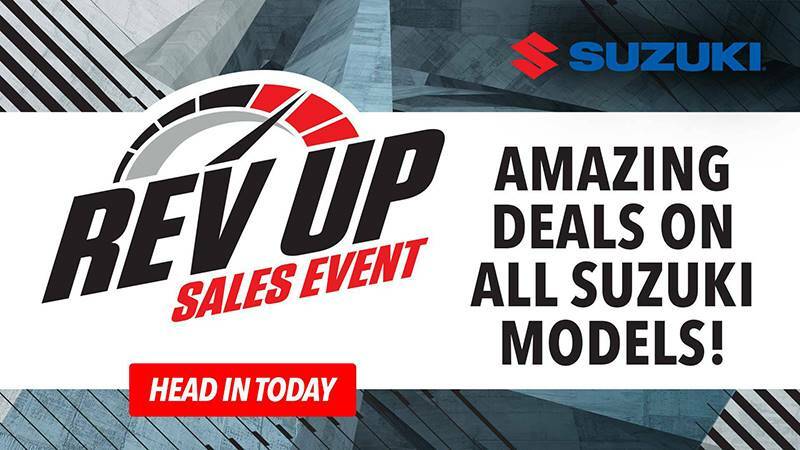 The compact and powerful, 644cc, SOHC, four-stroke, air- and oil-cooled engine features the Suzuki Advanced Cooling System (SACS). Piston-jet cooling and an engine oil cooler create consistent performance in a variety of conditions. The engine is tuned with an emphasis on performance in the low- to mid-rpm range, while a gear-driven balancer shaft minimizes vibration for a comfortable ride. Suzuki Composite Electrochemical Material (SCEM)-coated aluminum cylinder is used for durability, light weight, and excellent heat dissipation. Digitally-mapped DC-CDI ignition system provides accurate spark timing for efficient combustion. A convenient electric starter (supplemented with a zero-maintenance automatic decompression system) provides easy, quick starting. Large Mikuni 40 mm carburetor provides a smooth intake flow and quick throttle response. The stainless steel exhaust system is light and corrosion resistant and is tuned specifically for strong low and mid-range power. Easy-pull, rack and pinion activated clutch provides precise operation and feel. A smooth-shifting five-speed transmission is complemented by a sealed O-ring drive chain.